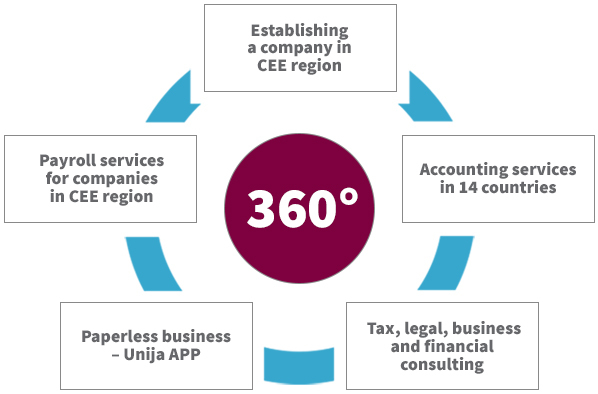 Establishing a company in CEE region - UNIJA Accounting, Ltd.
preventive tax reviews and internal audits for individual companies as well as for groups of companies. Trust us to keep your business records in accordance with the applicable legislation. We will keep you up to date on your company’s business activities and provide guidance in the accountancy and tax areas. We will also take care of keeping personnel records and of other personnel-related services, and we can assure you that we will do this in line with your expectations and applicable rules. Naturally, this includes on time and diligent reporting to the relevant state institutions. 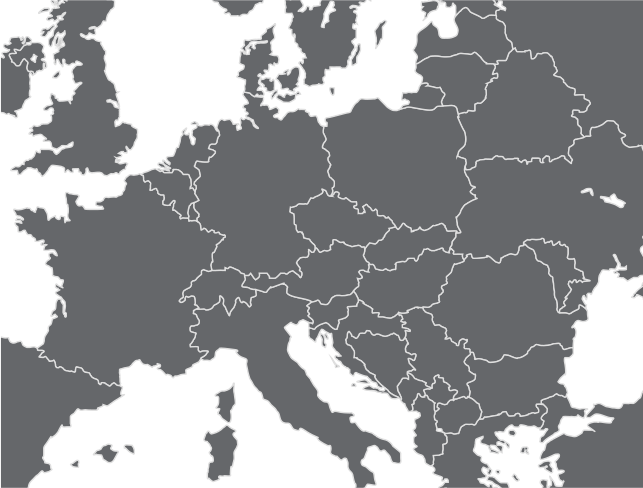 Because our experts are well acquainted with the relevant laws of Slovenia and other countries, they are well equipped to explain the details you have to pay extra attention to in your business activities. *Start BIS package does not include the final annual accounts. While searching a suitable office for your company, you can temporarily register your company in Unija’s business unit. Our business premises are fully compliant with all legal requirements and are located in the business area, along with the headquarters of some other foreign multinational corporations. All your mail will be digitalised and transferred to your e-mail address on a daily basis. Along with the most common tasks, like preparing payment orders in the electronic banking system and issuing invoices, we will also take care of everything else, so that your company can operate as smoothly as if it were run by your administrative staff. From establishment of a company to accounting and consulting for whole Central and Eastern Europe.